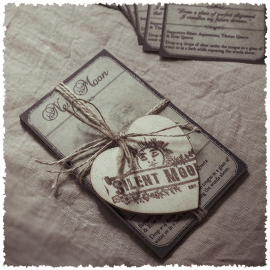 We welcome you to Silent Moon Imaginarium, the experience maker. This is a place of solace for those with a curious disposition. Devoted to awakening the imagination creatively and spiritually. Here we hold a sanctuary for a tender heart, the dreamer, a place where we acknowledge that life is never as it seems, a realm where you are supported by the nature kingdom. Its cycles and its illusions that come together to bring us so many healing benefits. We encourage you to look deeper. Ok so enough story telling. What are we about? The whole idea behind SMI is truth, to help you to feel the benefits of who you really are. Get out of your head and feel. To support you along your life journey, honouring your growth along the way. Those attracted to SMI are men and women who want to do the work. Who want to go deep, peel the onion layers, role in the mud, cry, laugh and feel their truth. Working along side me is extremely rewarding, you can read this in all the testimonials within these pages. However I won’t lie, you are required to do the work if you want to grow and that means looking at yourself in all of your wonderful mess. As an intuitive coach/healer I create powerful Earth and Moon vibrational medicine to help you with your process (these bottles are exclusive to SMI). The elixirs can help in clearing away much of the fog that prevents us from moving forward in our lives. As you read through the testimonials you can see how other people have benefitted from this intense work. Some people call it magic, but here at SMI it is just the natural way of living. When we connect with all that is around us, when we open our eyes, when we give ourselves permission, life begins to work with us, not against us. Bespoke bath soaks and scrubs are also available. Contact me to express any individual healing needs. “I sat 3 months ago and asked the universe for a new source of essences as the ones I’ve been using for years didn’t seem to be effective anymore. Also my lower chakras which have been closed after major surgery for 2 years have opened and I’m now in touch with my feminine essence again. 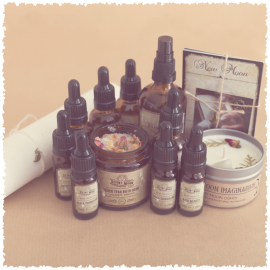 I love these elixirs and will be working with them for the foreseeable – they have given me strength and clarity in many areas of my life.